Andrew MacGregor Marshall's book A Kingdom In Crisis: Thailand's Struggle For Democracy In The 21st Century (from the Asian Arguments series) has been banned by Thai police. Incredibly, the police did not actually read it before banning it: their decision was instead based on two newspaper reviews. 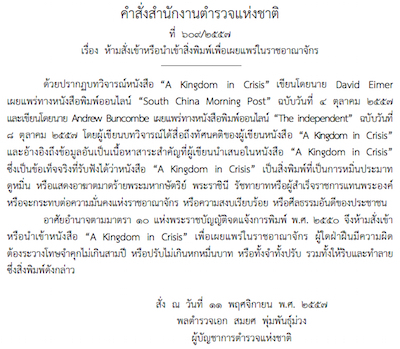 As the author acknowledges in his introduction, open discussion of the monarchy is prevented by the lèse-majesté law: "Anyone writing about contemporary Thailand faces the extraordinary dilemma that telling the truth about the country's recent history or politics can only be done by breaking Thai law." 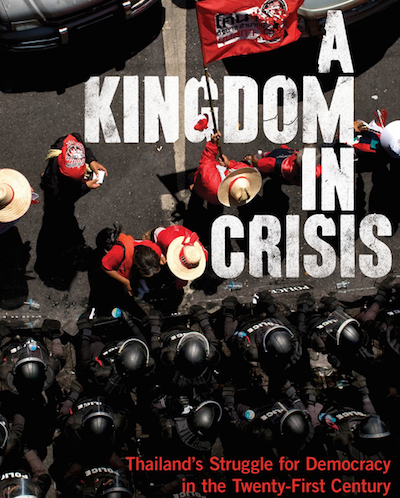 A Kingdom In Crisis therefore joins The King Never Smiles and A Coup For The Rich on the banned list.